At Dolfin, we believe that Malta is one of the best places in the world to do business. It is not only a wonderful island to experience, rich in history and cultural heritage, but also has a rapidly growing economy and Europe’s second-lowest unemployment rate. As a destination for financial services, its growth has been exponential, but the economy remains diverse, with high-end manufacturing, gaming and tourism all contributing. In 2004, when it joined the European Union, there were just four hedge funds domiciled in Malta. Today, more than 400 call the island home. The finance sector now makes up around 13 per cent of GDP and employs more than 10,000 people, with 4,000 of these jobs having been added since joining the EU. Banking, insurance, fund management and wealth management are all strong sub-sectors. Malta is ideally suited for smaller funds that have in the region of €10–100m in assets under management. In particular, it offers the Notified Alternative Investment Fund framework, under which professional investors can establish a fund in a matter of days. Such funds are inexpensive to set up and can run for a long time and, while they are suited to investors with an above-average appetite for risk, they are still regulated. Crucially, Malta has a clean bill of health from a compliance point of view, offering high levels of transparency. However, many asset managers wanting to set up here have been underserved in custody and depositary services. Dolfin has been active in Malta since March 2016 as an investment fund manager. In March 2018, we were awarded an execution, custody and depositary licence on the island, making us the only London-based custodian offering services to funds based in Malta. This was a significant step forward for us and our clients because EU regulations, including the Undertakings for Collective Investment in Transferable Securities (Ucits) Directive and the Alternative Investment Fund Managers (AIFM) Directive, stipulate that any fund within the EU needs to appoint a depository established in the same jurisdiction. We are therefore able to offer our client base in Malta the level of service and exposure that they would expect when setting up business in London, while benefitting from the island’s robust regulatory environment, lower cost base, access to a growing financial ecosystem and English-speaking workforce. The custody and brokerage offering mirrors what Dolfin already provides in London, but the depositary services – in other words, custody and administration services for funds – is a significant step forward for Malta as a destination for funds. Dolfin provides depositary services in Malta to funds established in Malta as well as non-EU funds looking to market in the EU. We provide custody, record keeping, monitoring, and reporting for Ucits funds, Malta AIFs and non-EU AIFs, ensuring your fund is fully compliant with the regulations. We are also able to offer direct access to our trading desk, reputable sub-custodians, and can project manage fund set-up and ongoing management and administration services. In December 2018, Dolfin’s offering on the island was further enhanced by the award of a Category III licence. This entails a shift in our relationship with our clients: from acting as agent to acting as principal, adding significant value in the hedge fund space. Crucially, our connection with London means that funds set up in Malta can avail themselves of the infrastructure we have set up in both Malta and London, setting us apart as one of the very few players that can offer Malta-based hedge funds access to London markets. For hedge funds, Malta offers obvious attractions, including EU passporting opportunities and an attractive tax regime. These are not unique to Malta, which is often compared to other European financial hubs, such as Dublin and Luxembourg. However, Malta is able to differentiate itself from these centres, and is particularly suited to some UK financial services businesses looking for a post-Brexit EU base. In addition to its EU membership, Malta is also a member of the Commonwealth and has strong ties to North Africa and the Middle East. English is used in all business correspondence and law, alongside Maltese. Its business culture, language, and legal system make doing business in Malta relatively easy for UK firms. 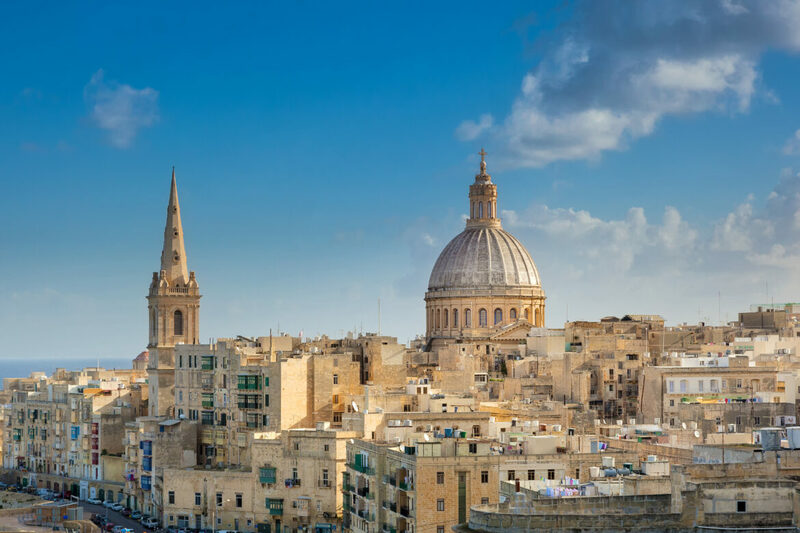 Crucially, our connection with London means that funds set up in Malta can avail themselves of the infrastructure we have set up in both Malta and London. Furthermore, Malta has a stable political and financial environment. It was largely unscathed during the financial crisis and the Eurozone debt crisis, with neither its government nor its banks requiring bailouts. The regulator – the Malta Financial Services Authority – is well regarded for being approachable, quick to make decisions, and rigorous. Its operating costs for financial services companies are also estimated to be 20–30 per cent lower than larger European financial centres. The island has a highly educated workforce, with all students receiving a stipend to support them through tertiary education; it offers an excellent standard of living, with healthcare and lifestyle factors ranking highly; and its financial sector is young, nimble and agile. Significantly for Dolfin, as a tech-savvy provider of custody, brokerage and investment management, Malta embraces technology. The Malta Digital Innovation Authority (MDIA) has a mandate to promote and develop innovative technologies, initially registering and licensing providers of technologies such as distributed ledgers (blockchain) and smart contracts, so they can roll out their services in a regulated environment, removing a barrier to adoption. In the future, the mandate of the MDIA is expected to expand to other new technologies. There is also new legislation that will govern initial coin offerings and crypto exchanges. Regulatory uncertainty, such as licensing requirements, has dogged this area in many countries. It has sometimes been unclear whether some ‘crypto-assets’ qualify as formal financial instruments and if they need to be governed under existing regulations (such as Mifid II in the EU). Malta has therefore introduced a ‘financial instruments test’ to determine whether a crypto-asset qualifies as a financial instrument and should be governed by existing regulation; or should fall under the scope of new ‘virtual financial asset’ regulation; or not be regulated at all. Virtual financial asset regulation will govern the operations managing these new crypto assets and introduce consumer protections. In the longer term, the future growth of the funds industry in Malta should be helped by technology developments. Industry-wide trends, such as the growing use of blockchain could prove powerful drivers of growth and efficiency for custody services. The Maltese regulator takes a positive and open view of the potential of technology, while also being mindful of the risks. Historically, funds domiciled in Malta have tended to be small to medium-sized. Perhaps because of this, Malta has a limited number of depositories and some of the larger providers have withdrawn from the market in recent years. However, with the range of services now increasing, there is potential for Malta’s funds industry to attract larger funds and more custodians. New entrants increase competition, keep the existing providers on their toes and will ultimately lead to a better solution for clients. While Luxembourg and Dublin continue to attract the larger players in the hedge fund space, Malta’s value proposition is now far more recognised and is gaining favour. Setting up in Malta is definitely more cost-efficient than setting up in somewhere like Luxembourg or Dublin. Dolfin’s technological capabilities mean we can service any size of fund. We are structured to maximise flexibility and agility, offering the capacity to assist funds that might not be able to access services otherwise. Our operation on the island is growing all the time, with a healthy pipeline of new funds accessing our services. As a new, nimble operation, we’re getting noticed and our momentum is building. We put technology at the core of everything we do, including our custody offering, and this makes us uniquely positioned to grow and scale the business. Ultimately, we believe passionately in the potential of Malta as a jurisdiction for funds. We welcome partners who share that belief.